Our inclusion as a FrontRunner is a testament to our dedication to solving HR challenges and paving the way for the HR of the future. 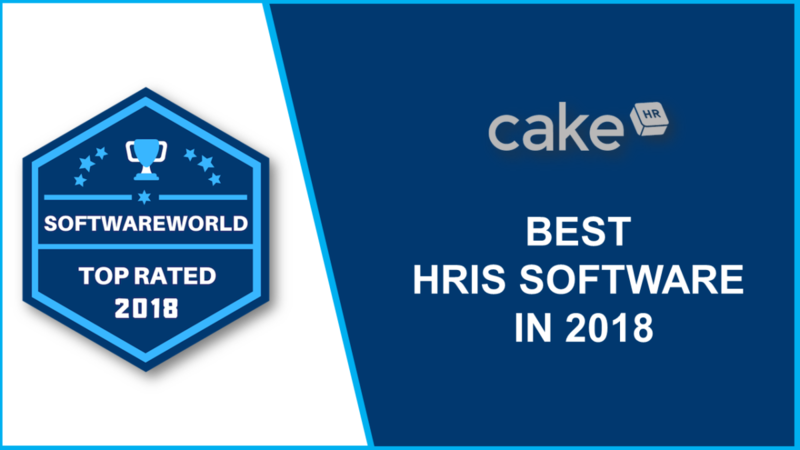 HR management software CakeHR has been chosen as a FrontRunner for HRIS management this 2018! We would like to express our gratitude to everyone who made this possible. CakeHR received a total score of 8.61 based on a 4.28 Usability and 4.33 User Recommended ratings. Software Advice­TM is one of the world’s leading online service that helps businesses find the right software for their needs. They offer free and personalized software recommendations to help you meet the demands of your growing clients and workforce. A Gartner company, Software Advice­TM also features objective research done by leading experts and software reviews from verified customers to help you save time and resources in finding the right software. The FrontRunners is a data-driven analysis of products that offer the best value and capability for small businesses. Software Advice­TM FrontRunners methodology calculates a product’s score based on published user reviews. The score is based on two primary variables: Usability (on the x-axis) and User Recommended (on the y-axis). 1. End-user ratings on the software’s functionality (one to five stars). 2. End-user ratings on the software’s ease of use (one to five stars). 1. End-user ratings on how likely they are to recommend the product or software (one to five stars). 2. End-user ratings on how valuable the product is relative to its price (one to five stars). The FrontRunners Quadrant is created based on the above criteria. Products that meet a specific minimum score is included in the quadrant. Software AdviceTM makes sure that the minimum score varies so there are only 10-15 products included in the FrontRunners Quadrant. The minimum score varies per category. Products that score less than 3.0 in either Usability or User Recommended is dropped from the list. A product’s Usability and User Recommended scores determines its position in the FrontRunners Quadrant. Recent reviews (published within the previous 18 months) are weighed heavily when calculating a product’s Usability and User Recommended scores. For organizations and HR departments, Human Resources Information Systems (HRIS) help manage and track employee information. It acts as a centralized repository of key employee data that the HR needs to complete its core processes. An HRIS can store and process data such as names, addresses, social security numbers, etc. It can also include various functionalities like time tracking, attendance management, onboarding, and payroll. Most modern HRIS software is self-servicing, meaning employees can request time offs or check their benefits using the software without the intervention of an HR professional. CakeHR is a cloud-based HR software that streamlines human resource management for businesses in over 1,200 cities around the globe. A self-service HRIS software, CakeHR gives employees their own login which gives them access to its powerful features like Time Off Requests and Leave Management. Employees can submit requests within the app and managers, who are instantly notified, can approve or reject it in a moment’s notice. Because it’s powered by the cloud, employees, managers, and supervisors can access CakeHR on any smartphone, tablet, laptop, or desktop — anywhere, anytime. CakeHR helps businesses do away with spreadsheets and paper forms. The Leave Management feature allows employees to request leaves digitally. And they don’t have to wait for days to get approval. Managers can approve or reject time off requests via email, Slack, or CakeHR’s mobile app — anytime, anywhere. Everything is tracked and recorded in a company shared calendar so everybody knows who’s reporting for work and who’s away. Leave Management also allows employees to see their remaining vacation days. Wondering who’s turn it is to watch the door? CakeHR’s Shift Scheduling feature allows managers to create and edit shifts. And then notify employees with a single click. Employees can also add their availability to help managers in planning. First impressions last. So, if you need to impress your new hire, your company must have a smooth onboarding process. CakeHR’s Onboarding feature helps you automate your onboarding tasks. It allows you to create tasks, based on your own rules, which you can share to new employees. Powerful reporting allows you to see the progress of each new hire in the onboarding process. How you manage expenses can make or break your business. CakeHR’s Expenses module allows employees to EASILY submit personal expenditures. All they have to do is take a photo of the receipt using the CakeHR mobile app! This feature covers everything from mileage against business travel to business purchases. Tired of punch cards and time clocks? CakeHR’s Timesheets tracks the number of hours an employee has spent on a task or job within a certain time period. The HR can then use these timesheets to compute salaries. This modern take on traditional punch cards can be accessed anytime, anywhere. It automatically updates too when the employee is away. CakeHR’s powerful reporting tools enable managers and business owners to effectively manage their workforce. Aside from the predefined reports included in the app, you also have the ability to create your own custom reports. With CakeHR, you can manage your workforce effectively anytime, anywhere, using any platform. And rest assured, all your employee data are safe with its robust, secure, GDPR-compliant service. Over the past decades, the HR has evolved from a mere back office support to a more agile and influential role. It’s a war for talent out there. Organizations want the HR to take the lead and now, they have the right weapon for it. From paperweights to bulky desktop computers to smartphones. The HR of the future will be mobile. Cloud-based HRIS software like CakeHR enables the HR to leave comments, assign tasks, edit schedules, approve leaves, or analyze reports while having a hot cup of coffee or riding the morning train. The HR of the future will not only have psychology graduates and management experts. It will also include a team of developers, tech-savvy people, brand editors, and data scientists. HR will be all about diversity of skills. As competition becomes more challenging and tech-driven, companies will need people who can do copywriting for a job description. Professionals who can read data. And people who are social savvy and knows how to connect with people and industry influencers. What’s the best month to hire people with specific skillsets? What are the most trending skills? How many hours does it take to hire and onboard a person? Who are the best performers? Who is the worst and why? sBig data is the future. And the HR will take the lead in analyzing and interpreting it. Before, the HR is just tucked away in an office far from employees. That will not be the case for the HR of the future. The HR will be social. They will be out there interacting with employees on a daily basis. They will be building relationships, enforcing company policies, nurturing company culture, and assessing needs. Nine to five jobs are a thing of the past. The future will be all about flexibility and work-life balance. Employees will want to work from home, get some time off to be creative, or be able to take a break without repercussions. The HR of today are starting to understand that as more and more Millenials enter the workforce. So, don’t be surprised if you see work from home become the norm in the companies of the future. We, at CakeHR, value all the communication and feedback we receive from our customers. Because of it, we were able to develop CakeHR and improve the platform week by week. Turning it from a leave management tool to a fully-featured HR platform designed to help you and your business succeed. SoftwareWorld is a software review platform that showcases top software solutions suitable for various industries, providing a comprehensive review service by comparing the best software solutions available on the market. The platform creates unbiased lists of the top software solutions by category and industry, helping businesses find the right solution for them. SoftwareWorld is a software review platform that showcases top software solutions suitable for various industries, providing a comprehensive review service by comparing the best software solutions available on the market. The platform creates unbiased lists of the top software solutions by category, helping businesses find the right solution for them. Copyright © 2015-2019 Software World. All Rights Reserved.